The MNPV6-Disco's red handled is LOCKABLE IN THE OFF POSITION! The MNPV6 Disco is very flexible. It is ETL listed for AC and DC. This allows you to configure it for several different uses. It will work with 1-6 of our 150 volt DC breakers. 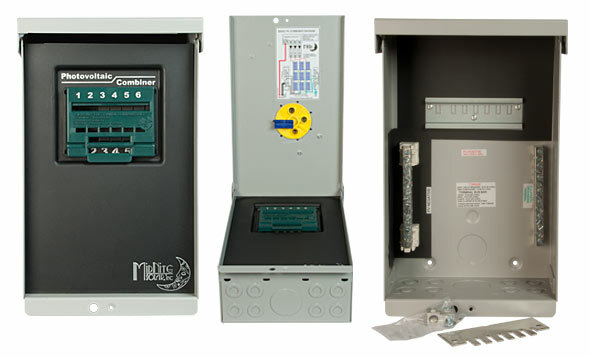 The combiner also works with 1 of our 600 volt DC breakers for a grid tie disconnect. 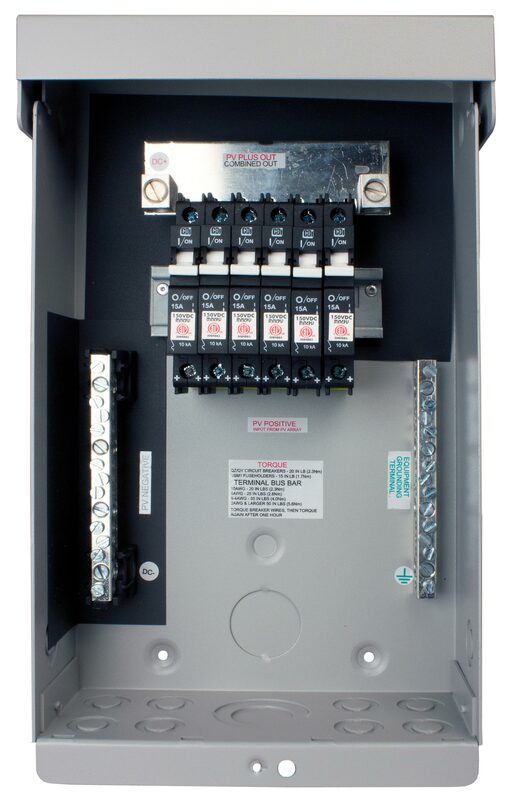 You can also install a 240 volt AC breaker with the 600 volt DC breaker to make a complete disconnect for a grid tie inverter. Load Break rated. This configuration makes a compact Grid Tie disconnect for those applications where the built in switch won't do the trick. We have 16 and 20 amp 600VDC breakers. 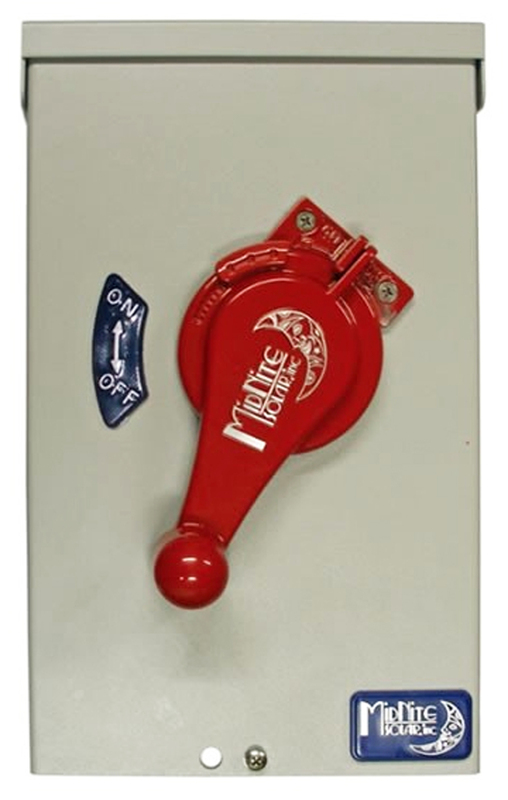 We stock 120V and 240VAC breakers. AC and DC can be installed in the same box! *Breakers and fuse holders not included.